I've been suffering from acne for 2 years and I believe it's a genetic thing but I'm trying to take care of it the best way I can. Other than doing my normal skincare routine, what can I do to help me skin get better? I've been trying to find a good diet but if you could give me some examples, that would be appreciated. Also, I live in a dorm environment, so I don't have access to a kitchen of any sorts but I plan on buying a rice cooker and I don't think I'm allowed to have a hot plate or anything like that so can't really cook. Any ideas would be appreciated. It is a genetic thing. And it what you do to yourself. A good acne diet is the same as a good healthy diet. A truly healthy diet. Real, whole, nutrient dense foods, more anti-inflammatory foods than in inflammatory in low to moderate glycemic load meals, drinks and snacks that don't include anything you have an intolerance for. Which you have to figure out. A healthful diet rich in natural whole foods like vegetables, fruits, whole grains and beans is the first recommendation for treating acne. Foods containing trans-fatty acids, such as milk, milk products, margarine, shortening and other synthetically hydrogenated vegetable oils, as well as fried foods, must be avoided. 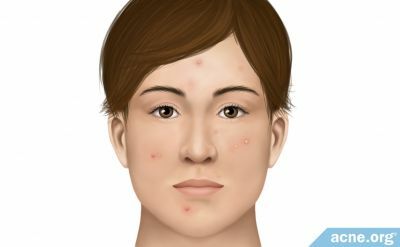 You can prevent, clear up, or eliminate acne by reducing high glycemic load foods from your diet and keeping your insulin levels low. This may sound difficult, but it's really just a complicated way of saying, eat fewer processed and refined foods and your pimples will go away. Plant-based diet cures almost everything and prevents practically everything. Many people here gave you good advice. Go vegan, live healthy for ever and have glowy skin!